Like a house that has not been cared for a website needs updating to keep it fresh and relevant. Do you look at your competition’s website and think theirs is better? Are you not getting the traffic you want or are users coming to your homepage and then leaving? A redesign can be both expensive and time consuming. Just because someone says you need a new website it is not necessarily true. Before investing, you need to weigh the good and bad of your existing site and decide if it is really worth while. 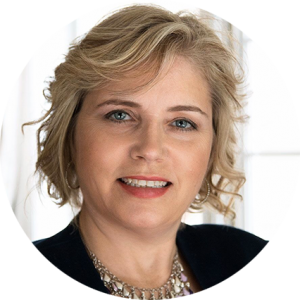 In this blog post I will help you understand the 5 key signs your website needs updating and how to avoid being bamboozled by a over-eager web designer looking to make a buck. Test your website on your computer and devices to see how long it takes your website to load. If it takes more than 2 seconds, you might lose a large portion of customers because they get impatient and leave. You can check on Google Insights to see if your page is loading fast enough. One of the main reasons for making your fonts smaller on your website is that you have a lot of content. The problem is users scan rather than read, so less content is better and bulleted content works really well. It is also a good idea to make the font size larger to avoid user frustration. If the font is too small to read and getting in the way of allowing them to pick out the key points, they won’t stick around. Larger fonts have been known to help with reading time. As the font sizes increase, readers exhibit faster reading speeds as is shown in studies from Payeme Noor University & Google/IBM. What I mean is that having a responsive website is not an option but a must. What is responsive design? It configures websites to the size of the screen the user is viewing. For example when you are viewing Facebook on your phone the content shifts to fit the device. One of the main reasons is that Google will no longer index websites that are not responsive. Being responsive improves your SEO and search results. We are using a variety of technologies to access websites ie. smartphones, desktop and tablets. Website design must work across all of these platforms. There are tonnes of stock photo libraries where you can purchase high quality images that look great. But make sure they reflect the message you are trying to convey and do not overuse stock images. Where you can, add images you have taken or hire a professional photographer. Having a high quality head shot is critical in portraying a more professional image. Also try to use the same style of imagery throughout your website. This will make the flow more natural from page to page. If you are using candid shots, then use them everywhere, or for a more slick look do the same. My favorite tool for image creation is Canva.com, where you can overlay text on images. The feature image for this blog post was created using Canva. 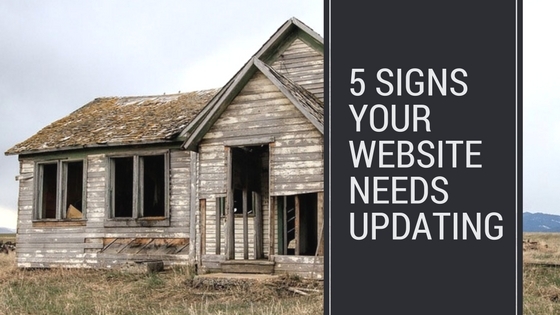 Like a house that has been neglected, over time your website needs updating. Your site might be open to many problems including security breaches, usability issues and may even be banned on some search engines. If after reading this article you realize your website is not up-to-date, hire us to do your next revamp. Fill out the form on this page so we can understand your needs better and we will contact you within 24 hours.